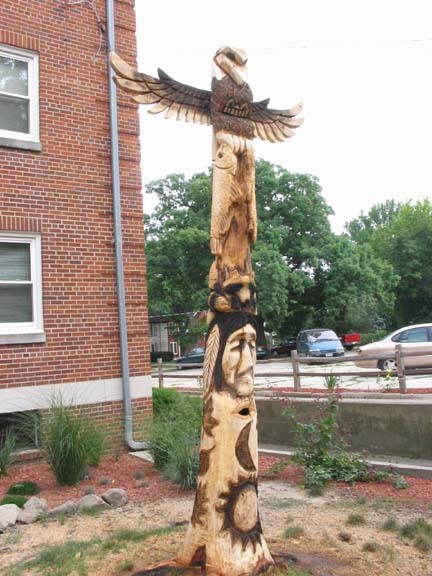 This totem is just behind the Hampton House, in Des Moines, Iowa. It's out of hickory, and approx 13 feet tall. I couldn't do the entire totem as planned, since the bottom four feet of the trunk turned out to be hollow. So, we went with "relief"
style pictures with the Indian theme. The attached wings are from the same tree, sliced from the excess trunk that was above the current height.